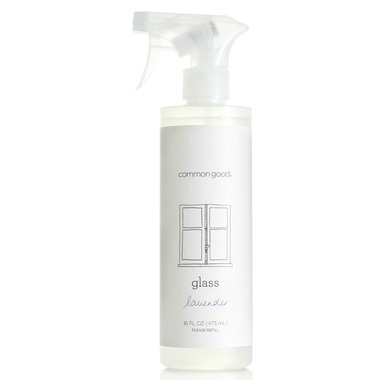 Common Good Glass Cleaner in Lavender is a safe, green, hard-working household cleaner in a bottle you can refill. This brand is amazing . I love all their products . This is a great glass cleaner! Smells fantastic and leaves surfaces streak free! Please keep this well stocked, Well.ca!